24 hours ago, President Trump demanded that the FBI and DOJ investigate the spy that was placed within his campaign before and after the election. 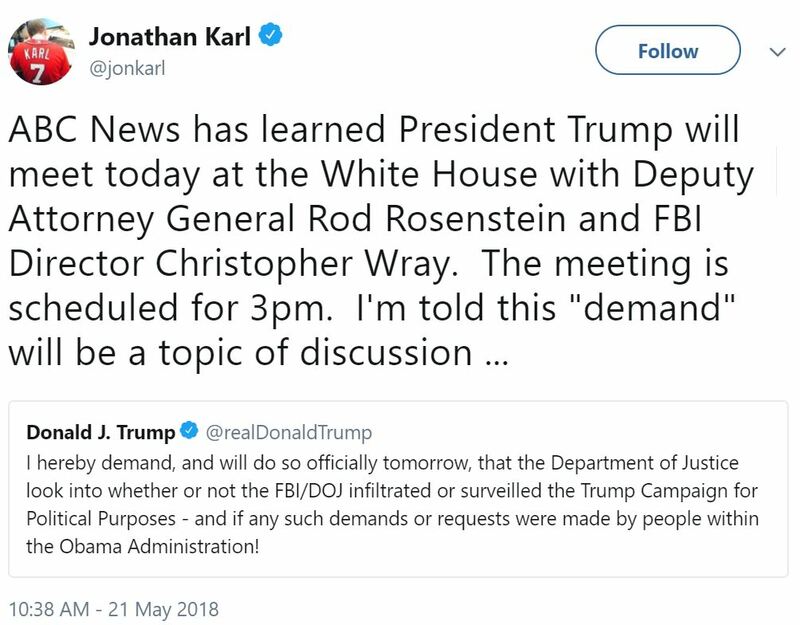 “I hereby demand, and will do so officially tomorrow, that the Department of Justice look into whether or not the FBI/DOJ infiltrated or surveilled the Trump Campaign for Political Purposes – and if any such demands or requests were made by people within the Obama Administration!” he tweeted. On the DOJ side, things are also moving quickly. 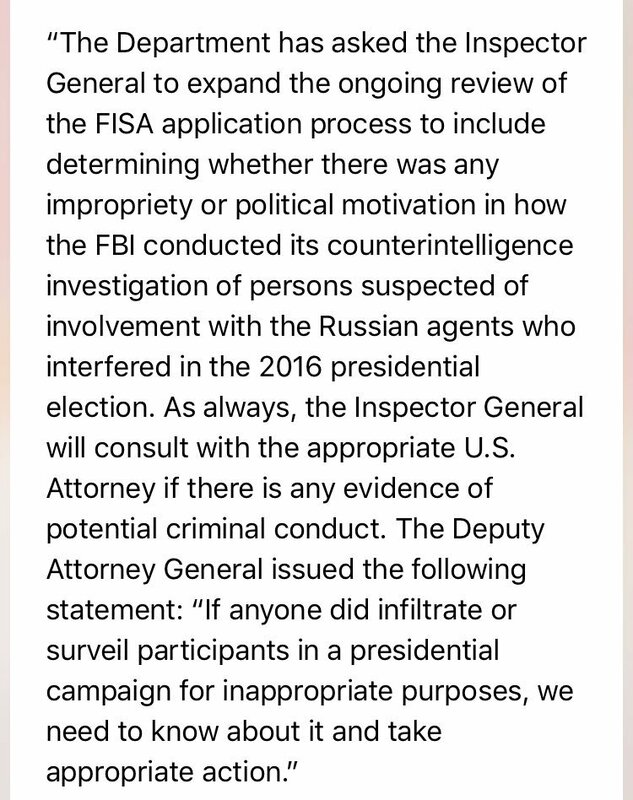 Deputy Attorney General Rod Rosenstein has asked the inspector general to go look into whether or not the FBI surveillled President Trump’s campaign “for inappropriate purposes”. FLASH: Rep. Matt Gaetz reveals House investigators obtained new information about intelligence collected on the Trump campaign that the White House doesn’t have full details of.